Whether your touring north to Queensland, or South to Canberra, Melbourne or Adelaide, there is plenty to see and do along the routes. In the Far West of NSW, there are gold mines, vast deserts and dusty towns along the way to visit. On the Coastal Route to Melbourne, you will find wonderful places to stop along the way, including the South Coast, the Victoria Gippsland Lakes Region, and the wilderness areas of Wilson’s Promontory. You can head from the Snowfields to the beautiful South Coast with its stunning beaches and National Parks in a matter of hours Sapphire Coast NSW. Canberra ACT, sitting between Melbourne and Sydney, is not only the Capital of Australia, but has National Museums and grand Art Galleries. 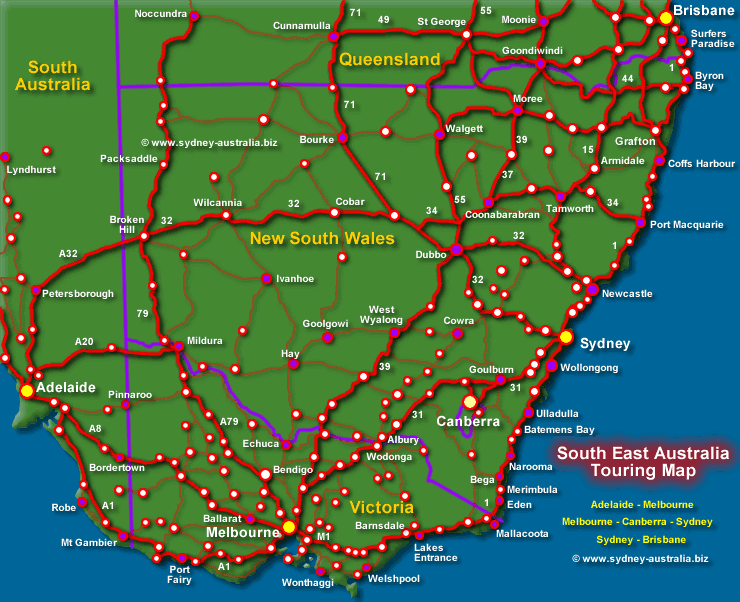 You can even drive from Adelaide to Brisbane using country routes through the Outback of Australia. 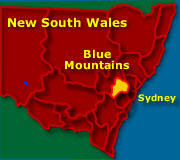 See more about New South Wales NSW Tourist Guide. To get to the NSW Blue Mountains - Approx 1 hours drive from Sydney. Take the F4 west in the direction of Penrith, then head further west towards Katoomba. You can travel all the way to the other side to Lithgow or return via the Bell Road, for spectacular views of Sydney. Along the routes, you will find plenty of Australian wineries at places like Mudgee, The Murray Region, Gippsland, Barossa Valley, the ACT and others Australian Wine Growing Regions. Thought about a working holiday in Australia? See jobs, employment Work in Australia - Jobs in Sydney Australia.